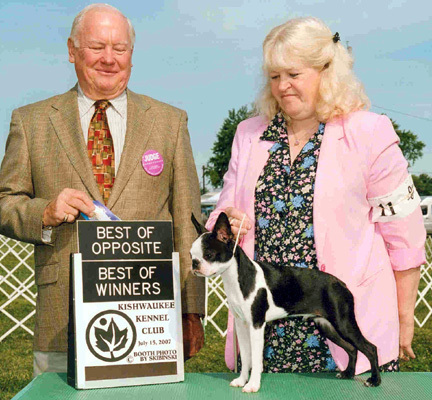 JanLar's & Bavaria's Lil Hottie "Yoda"
under Judge Kent H Delaney at Kishwaukee Kennel Club on 7/15/07. Yoda shown above at 10.5 weeks on 3/31/07. Yoda shown above with Jack at 10.5 weeks on 3/31/07. Yoda shown above with Tyson at 10.5 weeks on 3/31/07. 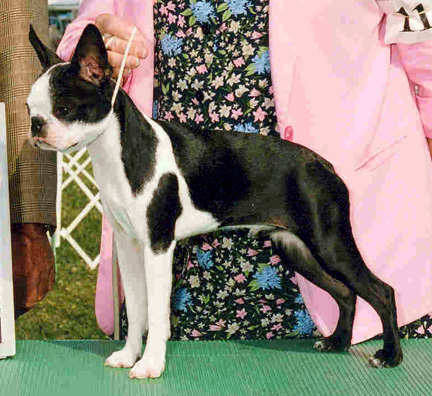 Yoda shown above with Bridget at 10.5 weeks on 3/31/07.